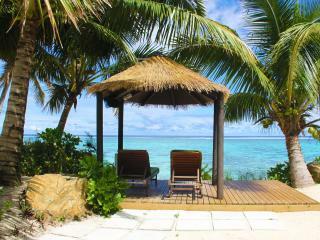 Tucked away on a secluded islet on the edge of the magnificent Aitutaki lagoon. 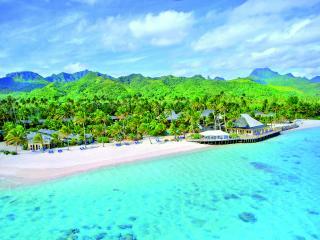 Crystal clear water, white sandy beaches and your own secluded private island... Sound like the perfect getaway? 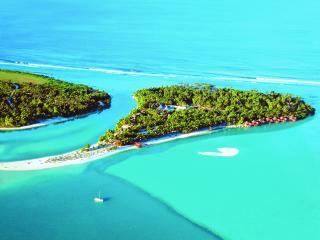 Aitutaki Lagoon Private Island Resort will tick all the boxes for a romantic holiday to paradise on earth! 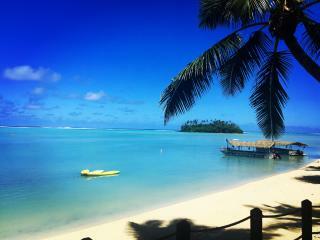 Accommodation is in beachfront bungalows or that are set amidst swaying palm trees, or overwater bungalows that feature some of the most breathtaking vistas of Aitutaki Lagoon. 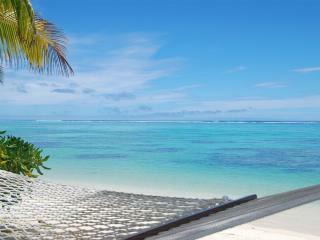 Resort facilities include a swimming pool, restaurant and bar, day spa, gymnasium and a great range of activities. 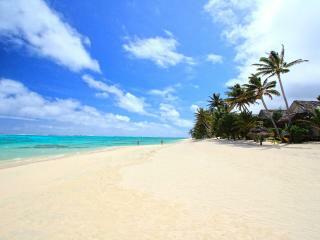 Pacific Resort Aitutaki is the only luxury boutique property in the Cook Islands. 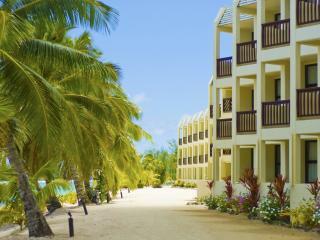 The Resort is nestled into seventeen acres of tropical forest and fronting half a kilometre of white sand beach. 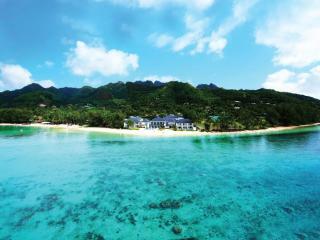 There are 27 luxury beachfront bungalows and villas, all air-conditioned and fully serviced with large private verandas, Polynesian styling and colonial furnishings. 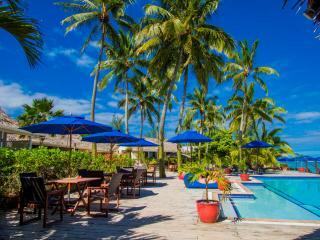 Pacific Resort Aitutaki includes a freshwater pool and waterfall complex, beachfront restaurant and bar featuring, tour desk, lagoon cruises, beach activities centre and full reception services and facilities. 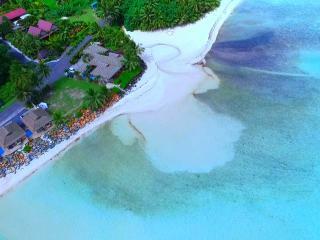 If you are looking for a small retreat with basic facilities on Aitutaki then Paradise Cove Lodges is for you. 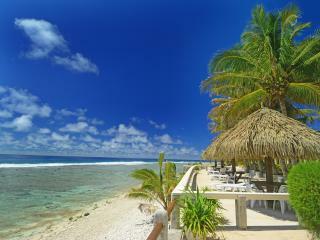 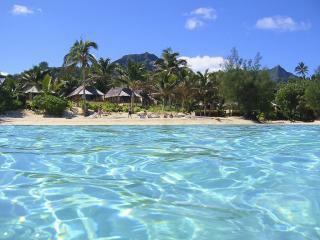 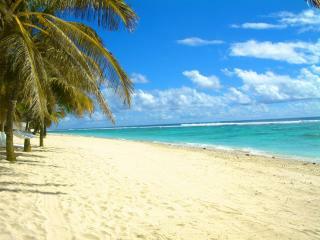 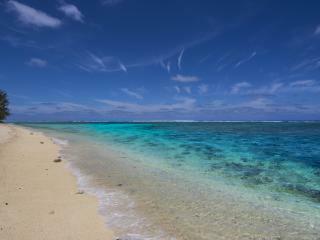 This Cook Islands accommodation is set a short drive from the airport and not far from the main town. 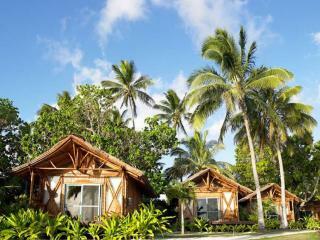 The bungalows are perfect for those after basic and comfortable accommodation just metres away from the ocean's edge.